AMD Radeon Pro WX Series of graphics cards shipping announced. The WX Series are based on the Polaris architecture-based GPUs featuring 4th generation Graphics Core Next (GCN) technology. The Graphic cards are engineered on the 14nm FinFET process. The cards can able to run a 5K HDR display via DisplayPort 1.4, include support for HEVC encoding and decoding. The graphic cards also features TrueAudio Next for VR. The WX Series graphic cards boast cool and quiet operation with an emphasis on energy efficiency. Each retail Radeon Pro WX graphics card comes with a 3-year limited warranty and 24/7, VIP customer support. 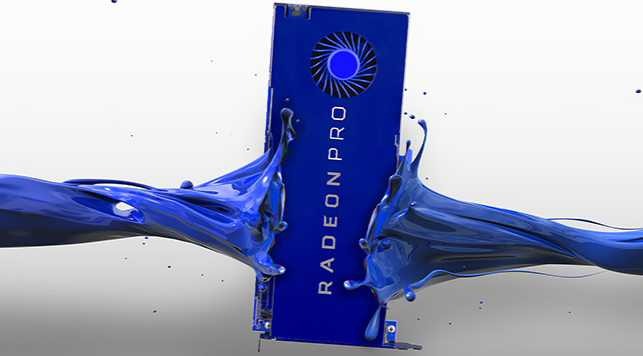 The AMD Radeon Pro WX 4100 graphics cards delivers the exceptional performance CAD professionals are looking for in a sleek and quiet small form factor. The Radeon Pro WX 4100 graphics card is the first low-profile workstation graphics card to break the 2 TFLOPS single precision compute performance barrier. The graphic card has over 2.4X the performance of competing cards in its class while consuming nearly identical amounts of power. With 4GB of GDDR5 memory and 16 compute units (1024 stream processors), users can drive four 4K monitors or a single 5K monitor at 60 Hz, a feature which competing low-profile CAD focused cards in its class can’t touch. Will be available from November 10 at US$399 MSRP. The Radeon Pro WX 5100 graphics card is the fastest workstation card in its class, delivering up to a groundbreaking 3.9 TFLOPS of single precision compute performance while using just 75 watts of power. The Radeon Pro WX 5100 graphics card delivers the necessary performance in spades, with 8GB of GDDR5 memory and 28 compute units (1792 stream processors). The Radeon Pro WX 7100 graphics card delivers 5.7 TFLOPS of single precision floating point performance in a single slot. Equipped with 8GB GDDR5 memory and 36 compute units (2304 Stream Processors) the Radeon Pro WX 7100 is a powerful graphics solution for high-quality visualization workloads. The graphic card has boasting up to 45 percent more performance than competing cards in its class in Dassault Systèmes SOLIDWORKS 2015. As VR usage continues to grow in design, manufacturing, media and entertainment workflows. The Radeon Pro WX 7100 delivers the performance needed to drive user experiences to new levels of immersion. Will be available November 10th at US$799 MSRP.